Horns. Tail. Colour and movement. I'm not normally inspired by public transport. But I'm finding buses particularly inspiring this week. Here's one I saw today. It has horns, a multi-coloured hide and a tail. In PR-speak it's an experiential campaign...perhaps in other words a good old fashioned stunt. Best practice would be to back this great mooving (pardon the bad pun) stunt with an integrated PR campaign. Now why is this bus relevant to PR people or to those in financial services? Because our audiences, particularly high net worth or high income people, are getting harder and harder to reach. Their media habits are fragmented. They may be time poor. When they want information they self-serve - Google and word of mouth are favourite sources. Hence the rise of experiential PR - a stunt, installation or "happening" backed by and amplified into traditional and social media. 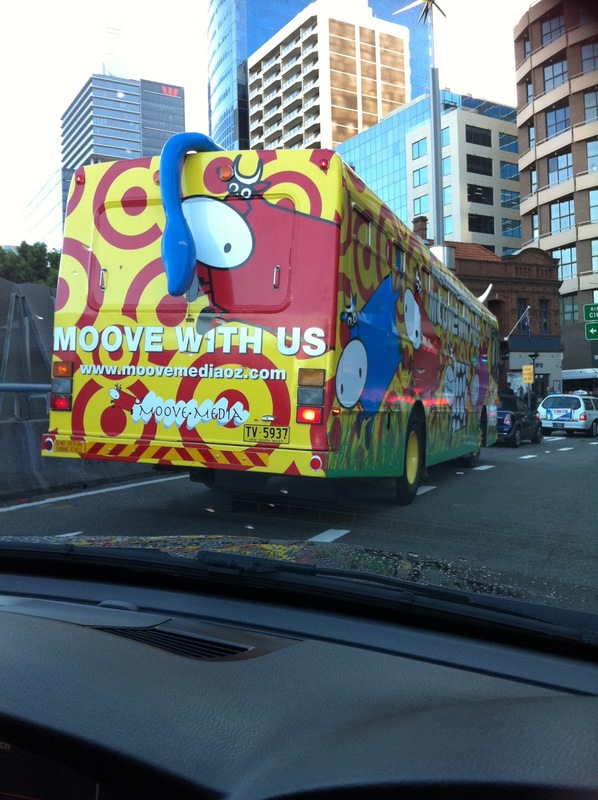 It's just a shame that moove media didn't back their superb creative execution with a fully functioning website.